Grounded in Science | Embracing life at the molecular level. Sunrise, sunset – with it follows our internal rhythm for an array of functions including digestion and sleep. This circadian rhythm responds to light and is found in all living things – including plants, animals, fungi, and bacteria. Each cycle is close to 24-hours length and resets daily. Early birds have an inherent rhythm that resets slightly less than every 24 hours; night owls reset slightly longer than 24 hours – ah, nice to know my late night tendencies come honestly! Melatonin – the Dracula of hormones. Induced by the dark and produced mainly by the pineal gland near the center of our brain, melatonin is also produced in the cells of the immune system, eye, reproductive organs, and skin. Under normal, healthy conditions, melatonin levels peak at night and are lowest during the day. As such, the ebb and flow of melatonin signals if its day or night and triggers a coordinated cascade of activity winding us down for sleep. If circadian rhythm is disrupted, we not only lose sleep, but growing evidence tells us we’re putting our health at risk. In the dark, melatonin levels soar. With light, melatonin levels sink and other hormones rise that increase alertness (dopamine) and prepare us for the demands of a new day (cortisol/stress response; GABA/calm). But that’s not all folks – melatonin also affects other molecules and cells that impact a bevy of physiological and psychological processes including heart rate, gene expression, metabolism and reproductive cycles. For example, the internal signals that make us store fat or time ovulation in women, are turned up or down by the presence of melatonin. When the circadian rhythm gets mucked up, the wrong players are on stage at the wrong time and the molecular dance shifts into a Twister game. Anyone who’s stayed up until dawn – cramming for an exam or just having too much fun (or stress) – is painfully familiar with the confusion, achiness and hunger that come the next day. Once the exam is over you may drop into bed mid-afternoon and wake at 10pm ravenous for dinner. Later that night with a full stomach and a shifted sleep pattern, you may be awake again until the wee hours. With your circadian rhythm out of whack, your body’s systems run amok. Jet lag causes similar agony. Boarding a plane in one time zone and landing several hours later where the local time is different, the body’s circadian rhythm will be out of sync with the new location and will likely result in indigestion, sleep problems and a rotten mood (you can’t blame the airline for everything!). Late night or jet lag, the best way to reset your internal clock is to get outside into daylight. If it’s already night, aim to go to bed and rise at the same time you would at home. With groggy exposure to the early morning light, the body will soon reset its internal clock and with it the body’s internal systems. The resiliency of our circadian rhythm is something to celebrate – but trouble arises if the gears remain stuck. Shift work, stress, or frequent jet lag pours sand into the gears of your body and mind. Night shifts expose you to artificial light throughout the night and disturb the normal light/dark cycle. To compound things, shift workers often alternate their work schedules from overnight to early morning and late afternoon shifts. The result is an utterly bewildered circadian system. Worse yet, research indicates a link between this bewilderment and metabolic disorders, such as obesity and diabetes, as well as hormone-dependent cancers such as breast, ovary and prostate cancers. In addition, those suffering from chronic circadian disruption experience mental fatigue with confusion and memory problems which lead to a significant increase in accidents – at work or on the road. Clearly light is important for our well-being but moreover is essential to our health. So how is light perceived by our bodies? The eye detects colors and the grays of night when light is absorbed by photoreceptors in the eye called rods and cones. Contorting upon the absorption of light, the rods and cones convey information to our brain about the shapes and colors around us. Researchers recently discovered a third photoreceptor – melanopsin – which detects the intensity of light and modulates the release of melantonin. The discovery of melanopsin may explain how some blind people with severe degenerative eye disease have intact circadian rhythms. In these cases, the rods and cones may be damaged resulting in blindness, but the melanopsin functions and perceives the presence of light. Stop and think about that for a moment — amazing! Blue light matters most. When it comes to circadian rhythm, not just any light will do. 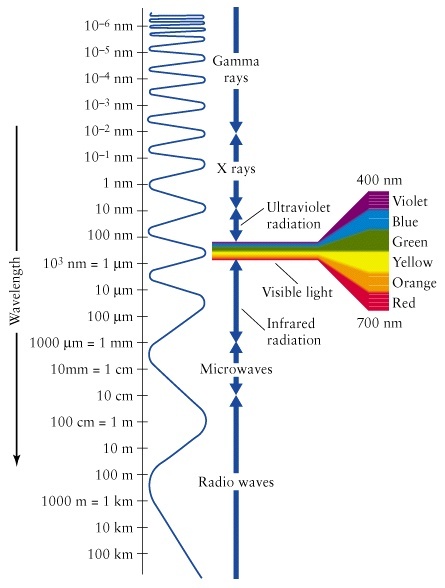 Visible light is the portion of electromagnetic radiation that we can see and appears to us as colors of the rainbow. This light corresponds to a wavelength range of 400 – 700 nanometers (nm) and a color range of violet through red. Research has shown that blue light provides the strongest stimulation of the circadian responses in animals. Sunlight, particularly morning light, provides an abundant supply of blue light. But lo and behold, the LED screens in our computers, smartphones, and televisions also emit mainly blue light and therefore are perceived as morning sunlight by our brain. This is fine if you limit the use of these devices to daytime, but your late night binge watching of the latest House of Cards season will fool your brain into thinking its daylight and your circadian hormones will run amok. Not only will your body try to keep you awake, but your metabolism, reproductive and immune systems will also be affected. Be bold – turn off those devices and TV a few hours before bedtime. Your partner may thank you! We live in a 24-7 world — fueled by an ever-increasing use of electricity to light the night. The known health risks of disrupting our circadian rhythms combined with growing evidence for the link between circadian light exposure and reproductive cancers (e.g. breast cancer), warrants a societal call to action to improve our relationship with light. Heeding the science, architects are now designing living and work spaces that support our circadian rhythm. Innovative designs create daytime space that optimize blue light exposure with skylights or artificial lighting. For evening spaces in our homes and restaurants, non-blue light, such as incandescent lighting, is being incorporated to promote melatonin release and relaxation. The approach has transformative implications for other environments that are typically ensconced in artificial lighting such as hospitals and the international space station. How can you find the light to better health? 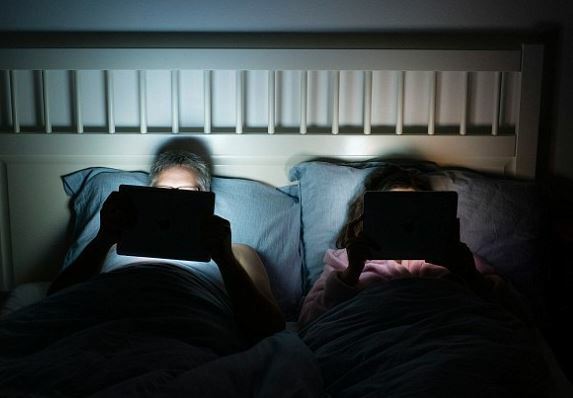 Avoid looking at bright screens starting two to three hours before bed. This advice may be akin to “avoid desserts” – what matters is making exposure the exception rather than a habit. Use incandescent lighting instead of fluorescent lighting at night. Fluorescent lighting and many energy-efficient light bulbs emit significant amounts of blue light and suppress melatonin. If you work night shifts or use a lot of electronic devices at night, consider wearing blue-blocking glasses. Screens or blue-blocker glasses will coax the release of melatonin and thus sleep. Melatonin supplements may also help, but timing and dosage is critical and can be tricky. Seek out blue light to offset jet lag or social jet lag. Get your groggy self out into the sunlight, ideally morning light, to reset your circadian clock. Get your daily dose of bright light. Walk the dog, shovel the snow, or have your morning tea on the balcony. You’ll improve your sleep quality, mood and daytime alertness. Hallelujah. Melatonin supplements are not a cure-all. Some research suggests a benefit to taking melatonin supplements to support sleep. Timing and dosage are important and can bring side effects including nausea and headaches. Moreover, more than melatonin is needed for proper circadian rhythm. Remember – the light cycle conducts the entire circadian hormone orchestra. We have evolved and developed in concert with our environment. By embracing the rhythms of nature we support our bodies own wisdom for vibrant health. Go greet that morning sun! 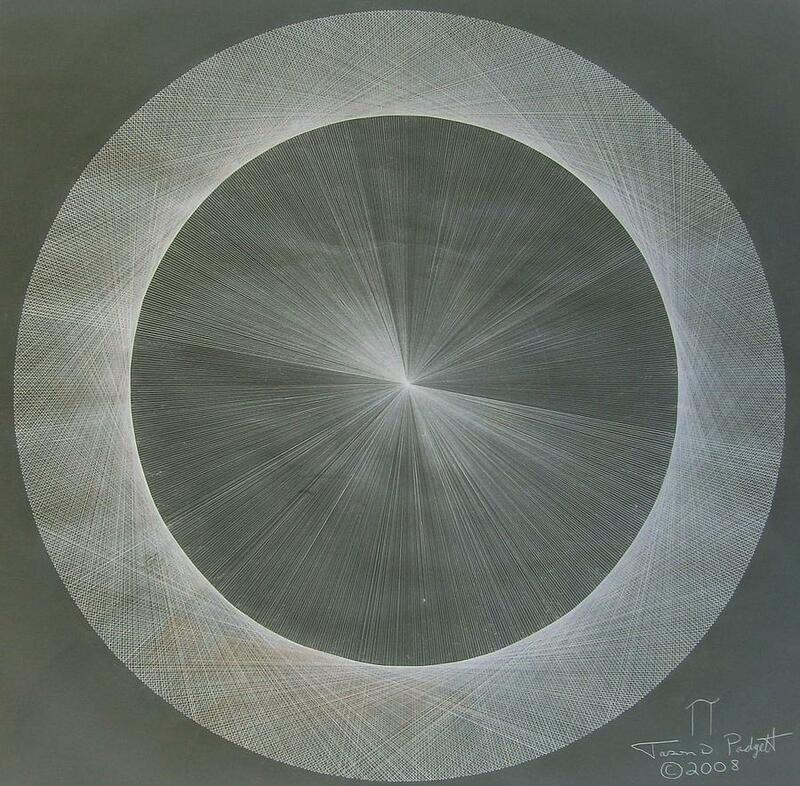 Photons, Clocks, and Consciousness. Brainard GC and Hanifin JP, J Biol Rhythms August 2005 20: 314–325. Protecting the melatonin rhythm through circadian health light exposure. Bonamati-Carrion MA, et al. Int J Mol Sci. 2014 Dec 17;15(12):23448-50. Breast cancer and circadian disruption from electric lighting in the modern world. Stevens RG et al. CA Cancer J Clin. 2014 May-Jun;64(3):207-18. Circadian disruption leads to insulin resistance and obesity. Shu-gun Shi et al. Curr Biol. 2013 Mar 4; 23(5): 372–381. Adverse health effects of nighttime lighting: comments on American Medical Association policy statement. Stevens RG et al. Am J Prev Med. 2013 Sep;45(3):343-6. Categories: Biochemistry, Light | Tags: cancer, circadian rhythm, light, melatonin, sleep | Permalink.